Community Memorial Healthcare opened its doors to the public in March 1958. The opening of the hospital was made possible by the generous donations of community members. Today, we continue that tradition of working with our community to ensure that we are able to provide the best health care possible to our patients, families and the community. 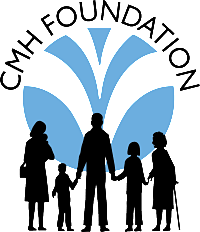 CMH Foundation was created to serve as the fundraising mechanism of Community Memorial Healthcare. As such, the foundation proudly supports the health care needs of the citizens of Marshall and surrounding counties. Dollars raised are granted to the hospital for capital projects such as new construction, renovation, and equipment; not for operational costs. Since 2012 the hospital has received over $228,000 from the Foundation for equipment and program needs. As healthcare resources become scarce and costs to acquire the latest technology grow, charitable contributions help us to expand on the services we can provide. We invite you to explore the ways your gifts can change lives and make a difference in our community. The annual Casino Night fundraiser is held each year on the 1st Saturday in March. The evening features Blackjack, Roulette, and Craps as well as other games. Attendees are given "casino cash" for playing which can be used at the end of the evening for prize drawings. Each year the Casino Night features a different theme. Ahoy mate - a nautical theme is in place for 2016 and takes us aboard the CMH Cruise Ship. Join us Saturday, March 5th, 7 PM, at the Marysville Knights of Columbus Hall for an evening of food & fun. New this year is a live and silent auction! CMH Foundation cannot thank our donors enough for their faithful support of the hospital. They help us make a difference and change lives! To make an online donation, please click the Foundation Donations link on the left. If you would like more information about the foundation, our events, or ways to donate, please use the contact information below.